Those who don’t want to settle when it comes to achieving a lean, sculpted body, choose SmartLipo. 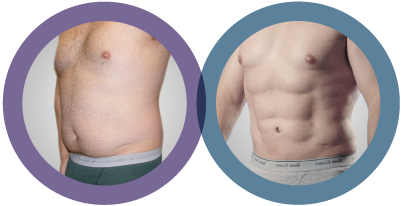 SmartLipo is at the pinnacle of advanced liposuction technology and techniques, combining the most modern fat reduction methods with state-of-the-art laser technology. With its signature fat melting and body sculpting capabilities, SmartLipo is an optimized liposuction treatment. SmartLipo is part of the Advanced Body Sculpting Institutes ongoing mission to provide our patients with the best in body sculpting results. To learn more about the incredible results you can achieve with this cutting-edge treatment, schedule a consultation today. Approved by the FDA in 2006, SmartLipo is a revolutionary development in laser liposuction technology. Though there are other laser liposuction technologies, the SmartLipo brand has become synonymous with laser liposculpture and fat reduction due to its unmatched capabilities. Combining laser precision with fat reduction optimizes the results of liposculpture treatment because fat is removed more efficiently and a byproduct of the laser heating treatment is localized skin tightening. 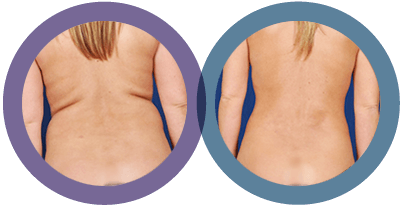 The advanced laser technology of SmartLipo offers a number of benefits during the fat removal process. When compared to traditional liposuction, clinical observations have shown time and again that laser lipolysis such as SmartLipo offers decreased recovery time, skin tightening and effective fat reduction. The evidence is mounting that SmartLipo is the superior modality, liquefying fat tissue, triggering collagen production and tightening skin. There are a number of reasons that put this treatment head and shoulders above traditional liposuction. Traditional liposuction surgery requires general anesthesia, meaning the patient is required to “go under” sedation, which is ultimately a riskier procedure. SmartLipo is performed using local anesthetic, meaning the patient stays awake and able to communicate during the entire process. Moreover, the newest generation of SmartLipo cannulas are smaller, comparable in size to a pen. In traditional liposuction, bruising was common as the larger suction tips, cannulas, damaged connective tissues as it was worked through the fat layer. Without the initial liquefying effect of the laser and the smaller cannula size, the fat removal process is more traumatic on the body. During fat removal, the physician is required to break up fat by manual action, working the cannula through the subcutaneous fat layer, which often results in an uneven appearance and rippling. In our years of liposculpture experience, The ABS Institute has learned that the difference between treatments that achieve the best, most natural-looking results and treatments that leave patients with a “false” unnatural shape has much to do with the skills of the physician and their understanding of fat’s relation to the body. The surge in popularity of liposuction treatment has led to the sudden influx of liposculpture practices to meet the demand. In many instances, the training and technologies offered by the practice may be technically sufficient, but the physicians lack the deeper vision and artistic eye for detail. At the Advanced Body Sculpting Institute, liposculpture goes beyond the basic process of removing excess and stubborn fat pockets from the body. Older methods of liposuction simply practiced a philosophy of “more” is “better.” Modern practices operate with an understanding of tailored anatomy, producing results that are form-fitting and natural to the anatomy of the individual. Body sculpting techniques and technologies such as VASER Liposuction and SmartLipo were developed upon these philosophies. Your body’s fat stores, also known as adipose tissue, are a vital part of everyday body function, protecting your organs and providing insulation. There are two major types of fat stored in the body: subcutaneous and intramuscular fat. Subcutaneous fat: this type of fat is stored directly under the skin and is found over many parts of the body. Subcutaneous fat is the type of fat removed during liposuction. Intramuscular fat: intramuscular fat is layered between your body’s muscle groups and a serves as storage for energy. Your body requires fat to function and each person’s body will store fat differently. Women store subcutaneous fat in high densities around the hips and thighs in comparison to men. In men, excess body fat tends to concentrate in the abdomen first before storing in other areas of the body. Storage of excess fat often has little to do with obesity and even those in good overall health may have problems with stubborn deposits of excess fat. Adult women and men who are in overall good health and within a reasonable range of their ideal body weight are ideal candidates for SmartLipo treatment. Those with pockets of exercise resistant fat (such as the love-handles) stand to benefit the most from this treatment. The precision sculpting and reduced recovery times of SmartLipo are a great option for those who want to achieve a leaner, sculpting body without missing too much out of their busy schedules. There is a common misconception that liposuction is meant as a weight loss alternative. In fact, the opposite is true, where liposuction and liposculpture treatments should not be performed on individuals who are not at least within a reasonable range of a healthy body percentage (30 – 50 pounds). Those who do choose to undergo liposuction are often inspired by their results and gain a newfound interest in healthy living. The Advanced Body Sculpting Institute is constantly striving to offer patients the best in body sculpting practices. Backed by science and clinical study, SmartLipo is a proven treatment that offers patients natural, beautiful body sculpting results. The treatment is combined with the advanced techniques employed by ABS surgeouns, such as compression coupling, subdermal skin tightening and multi-level skin tightening to achieve tailored anatomy. 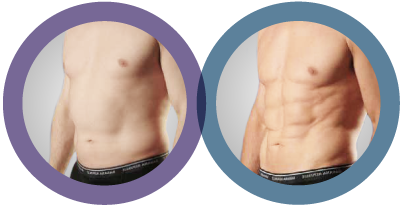 Tailored anatomy, artistic anatomy and advanced body sculpting techniques all go hand in hand with the purpose of providing patients the most beautiful, natural-looking results. The future of body sculpting has evolved to the point where the “plastic surgery look,” has fallen out of favor and the goal of cosmetic treatment is to achieve your most beautiful, authentic self. On the day of treatment, arrange transportation and assistance in the first 24 hours. Although you will be able to walk around freely after your treatment, it is advised to avoid strenuous activity and overexertion. Rest is the quickest road to recovery. SmartLipo treatment is a minimally-invasive, outpatient surgical procedure that is performed at our world-class facility. The process takes between one and three hours depending on the size of the area treated and the amount of adipose tissue to be removed. The treatment is discussed in its entirety during your consultation so you are 100% confidence about your experience. The procedure begins with injecting tumescent fluid in the treatment area. Tumescent fluid is a mixture of numbing agents such as lidocaine and epinephrine, which cause the fat layer to swell and blood vessels to contract. This also ensures you do not experience discomfort or pain. A small incision, less than three to five milliliters in length is made where the SmartLipo cannula is inserted. The SmartLipo cannula’s laser attachment is internal and has a compact design to emit laser energy with pinpoint precision. After the fat removal phase, the incision is closed and you are taken to a recovery area where you will be monitored and given your after-treatment recovery instructions. SmartLipo is so safe and effective that patients are typically back on their feet and able to resume very light activity within hours of their treatment. A compression garment is typically worn to reduce discomfort. Any questions or concerns about the potential risks associated with SmartLipo or any cosmetic treatments performed at the Advanced Body Sculpting Institute may be answered during your consultation or by contacting our office today. The results of SmartLipo treatments are long-lasting and permanent for the treated areas. Fat tissue removed during the treatment will never return to the body and fat cells destroyed by the laser treatment are gone forever. However, the human body always has the potential to gain weight, so we encourage our patients to continue eating healthy and exercising. Most patients are inspired by their great results and continue improving on healthy living habits. The price of each treatment will vary due to the highly customized nature of SmartLipo. The number of areas treated and the size of the area treated can impact the cost of the treatment. During your personal consultation with one of our highly-trained staff, you can discuss the cost and any concerns you may have about SmartLipo. The entire team at the Advanced Body Sculpting Institute are more than happy to answer any questions and you will walk away with a fully detailed break down of your treatment. A key aspect of ensuring a great experience is to ensure patients are completely confident in their choices and understand all the elements of their treatment. Contact the Advanced Body Sculpting Institute today and achieve the results you’ve always wanted for your body!